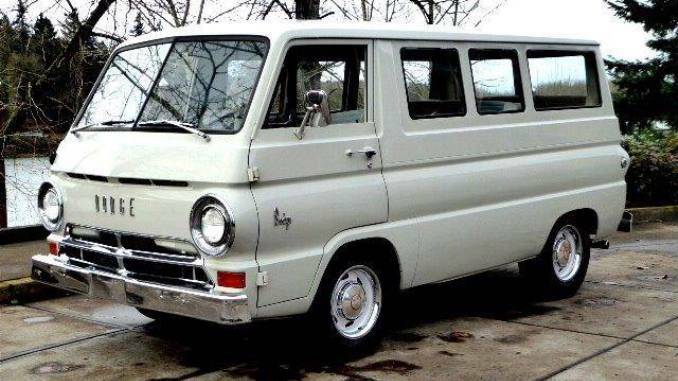 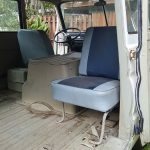 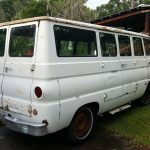 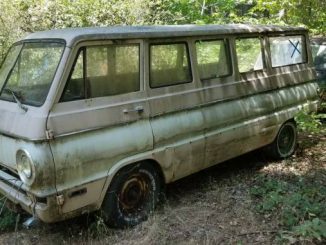 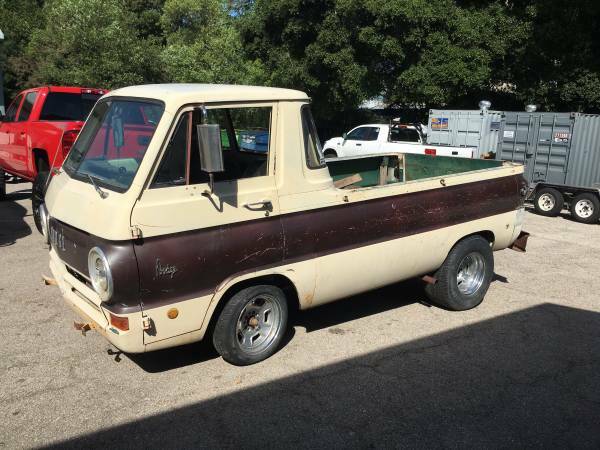 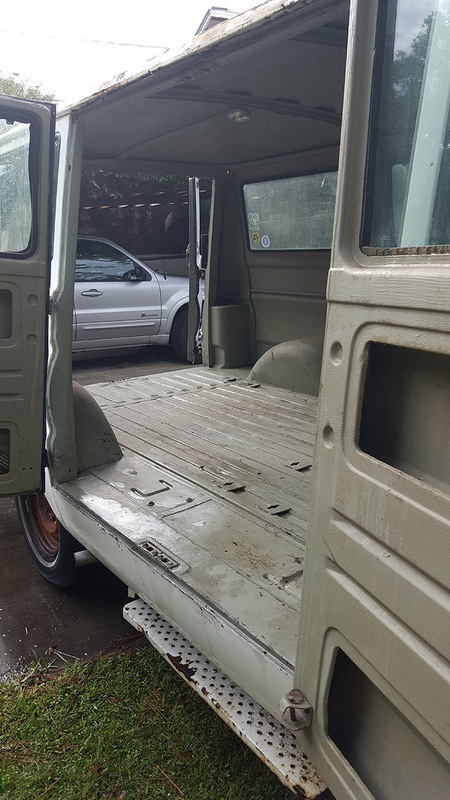 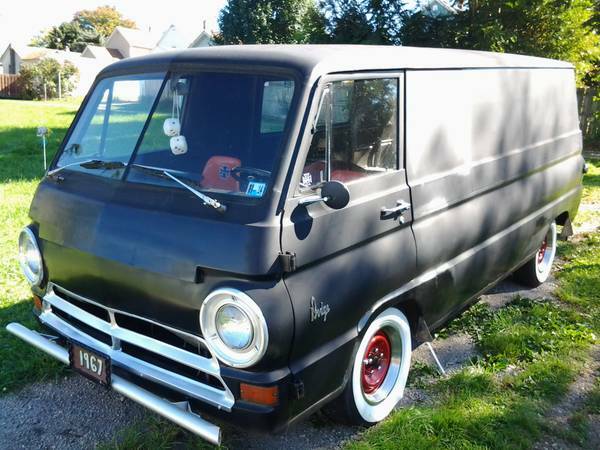 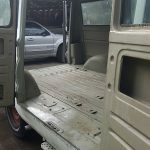 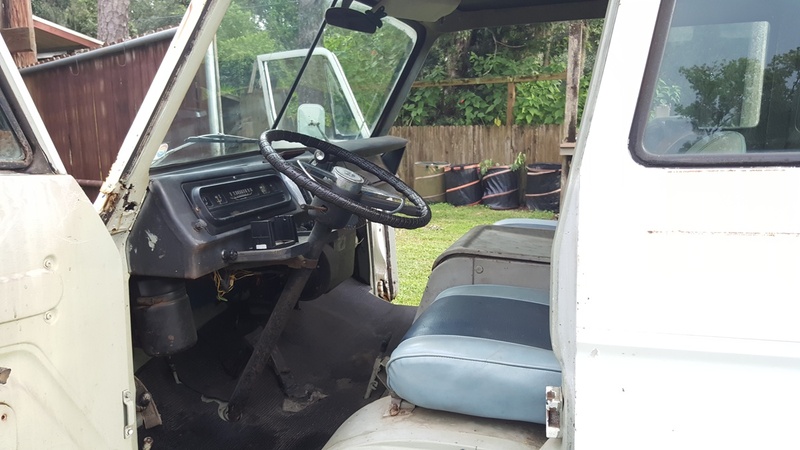 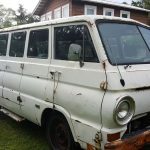 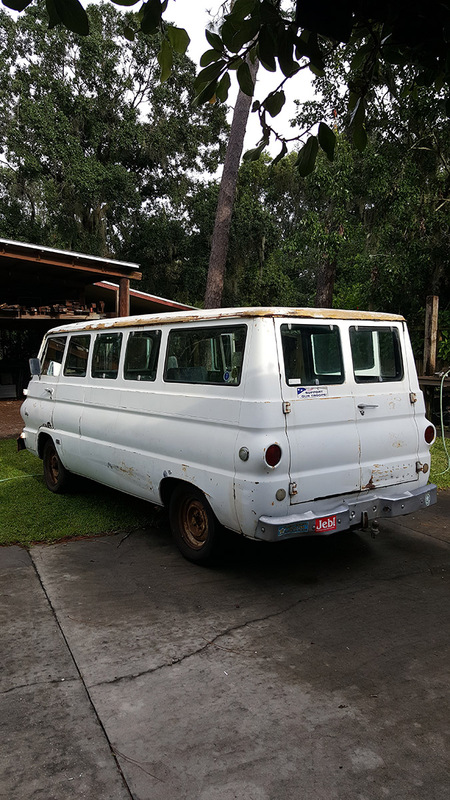 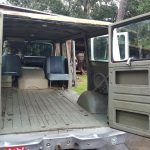 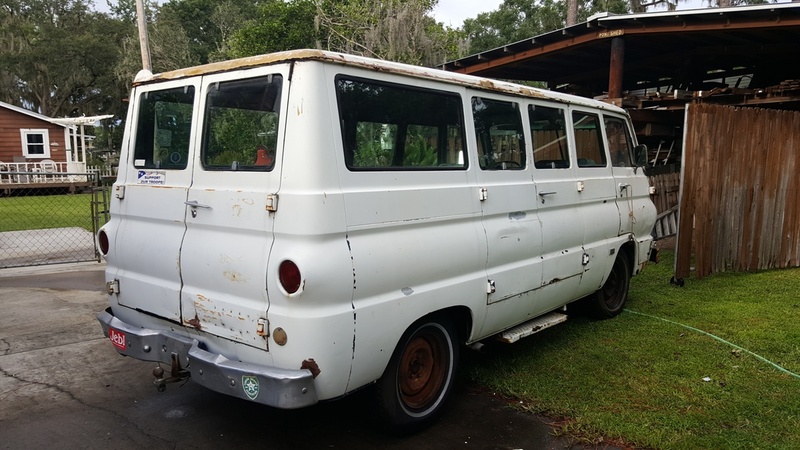 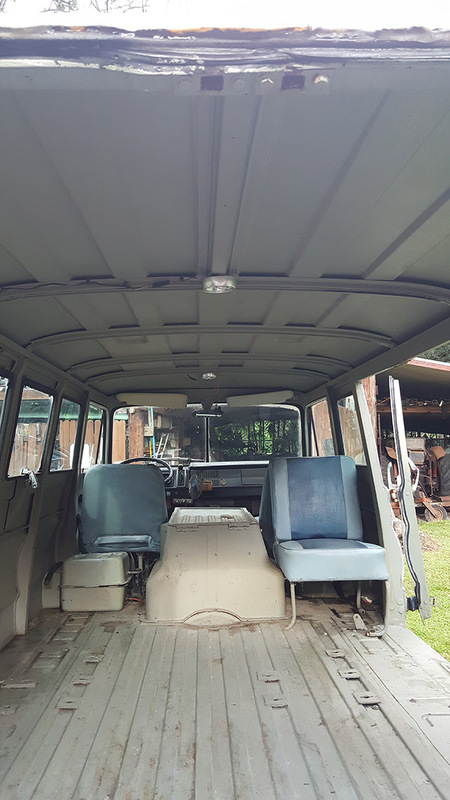 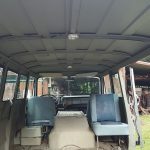 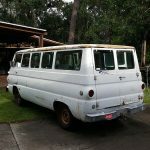 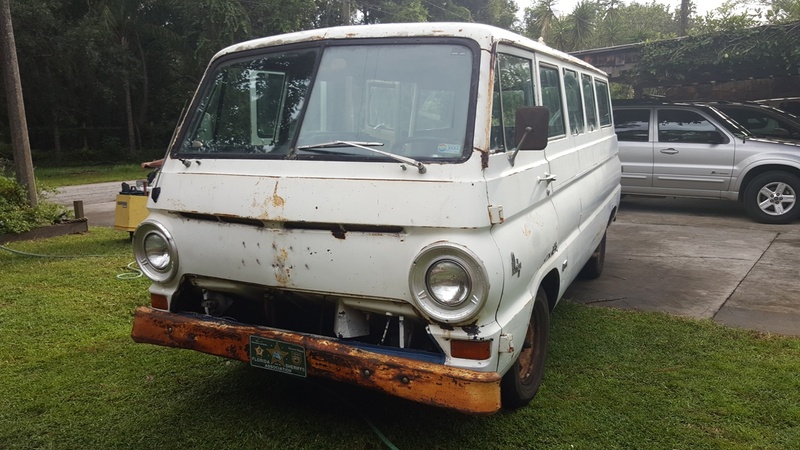 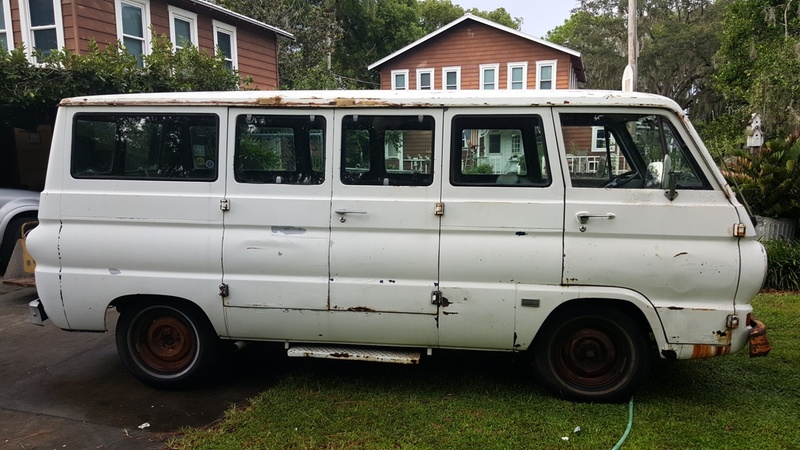 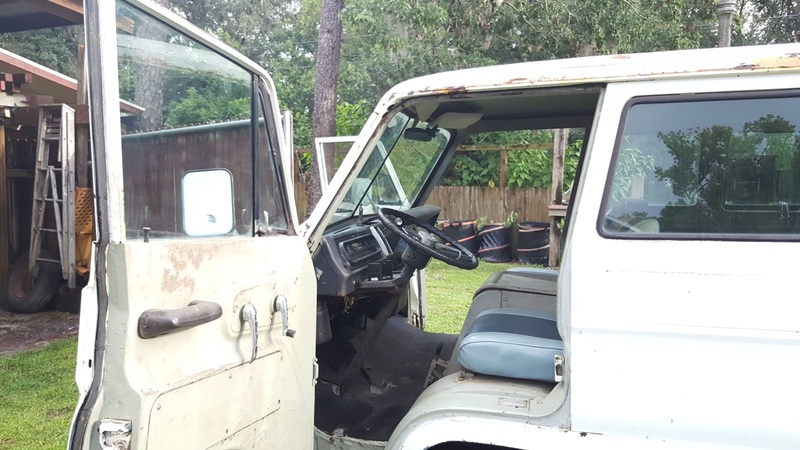 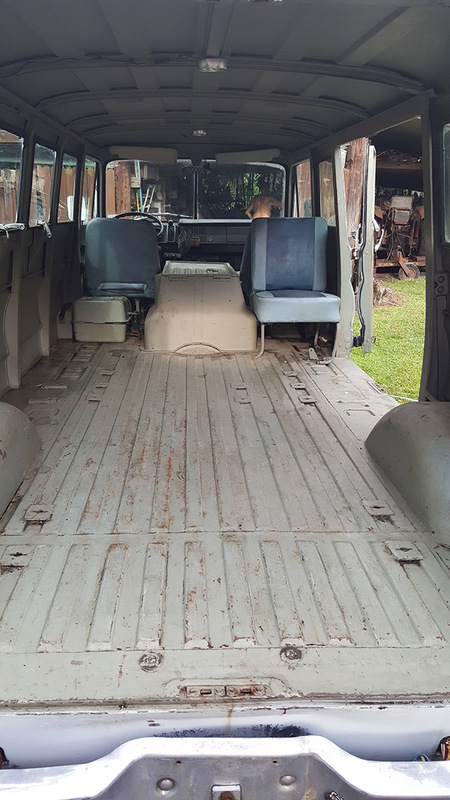 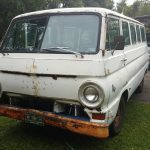 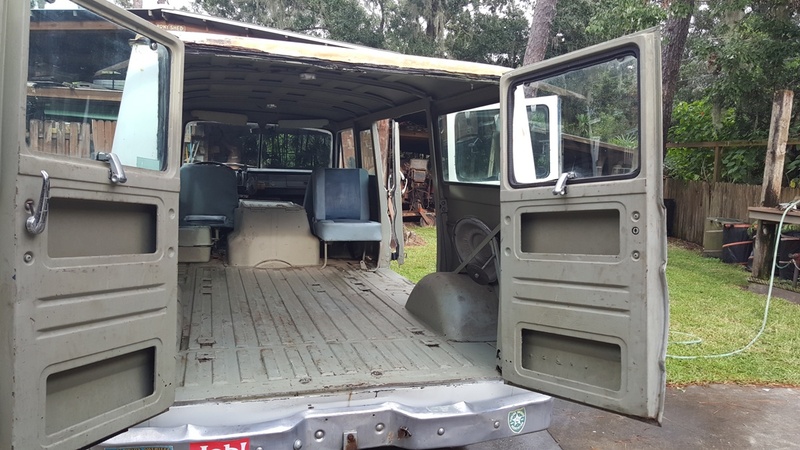 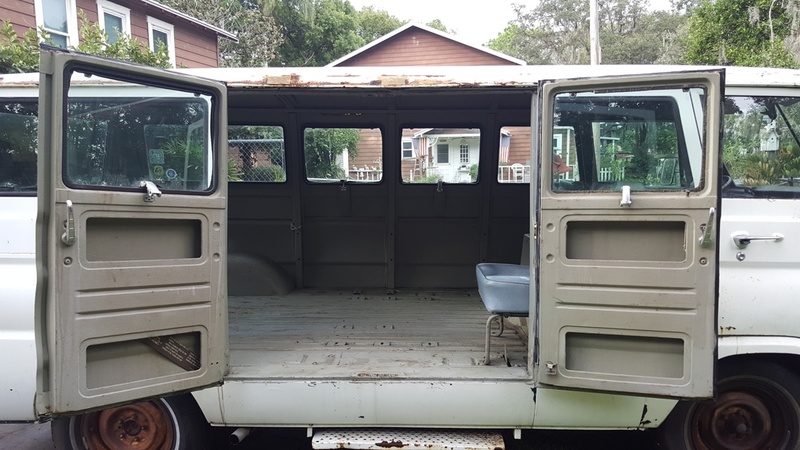 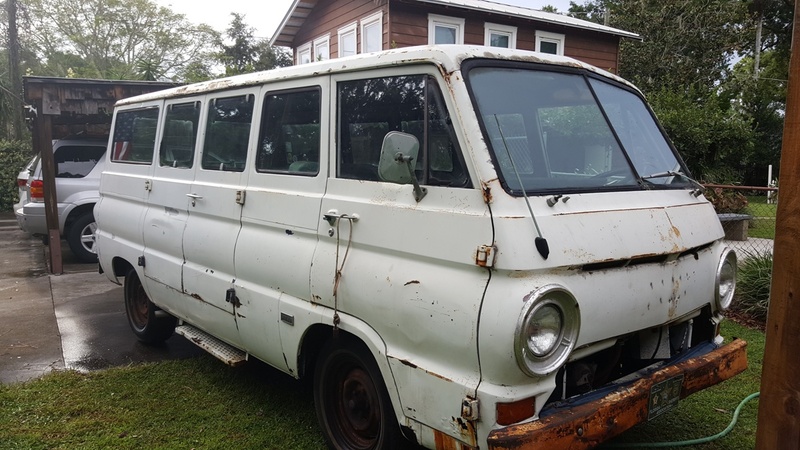 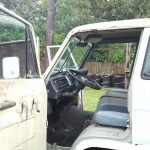 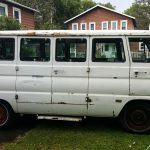 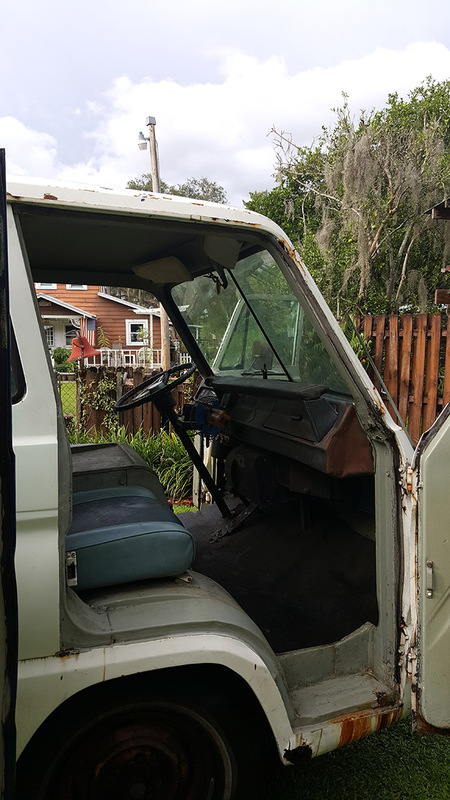 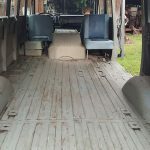 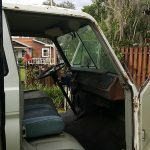 1967 dodge van, a-108, 317 v-8, auto trans, windows all around, clear title, Florida antique plate. 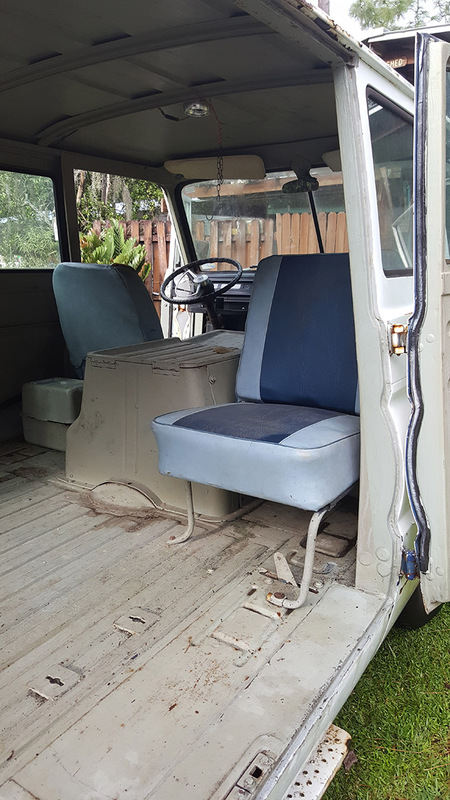 Fixed glass windows all the way around, including rear and curbside cargo doors. 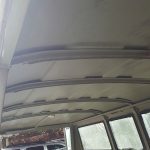 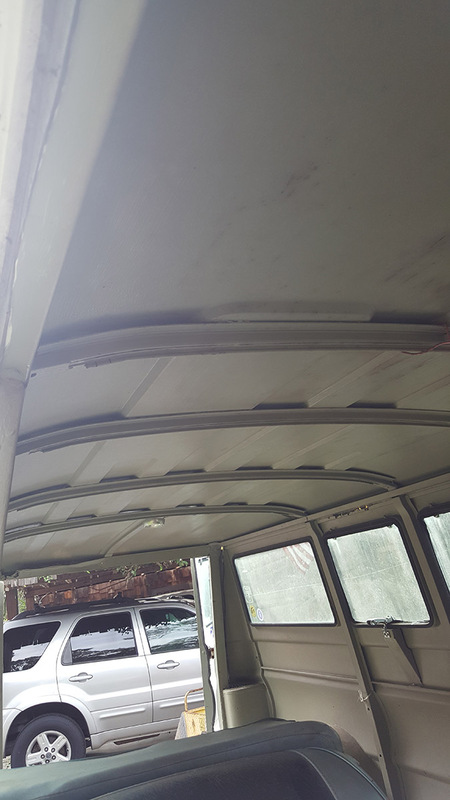 Swing up windows in rear cargo doors. 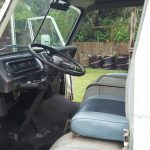 Project van parked under cover in shed waiting for restoration. 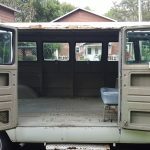 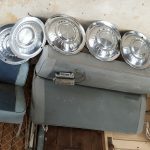 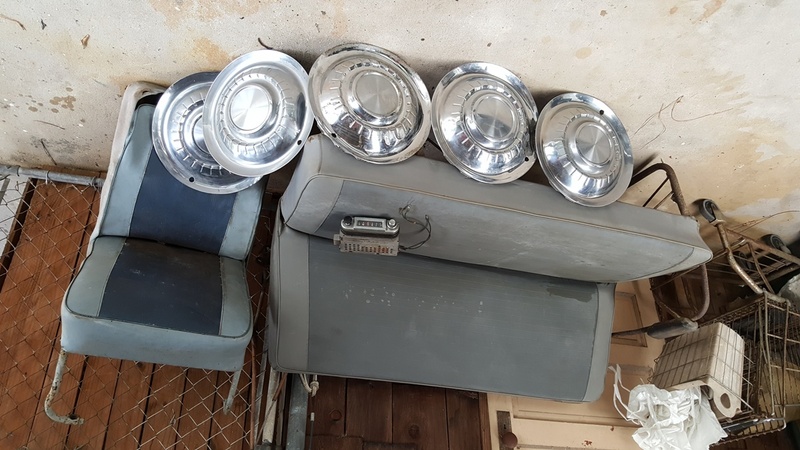 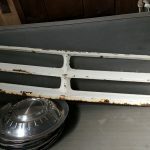 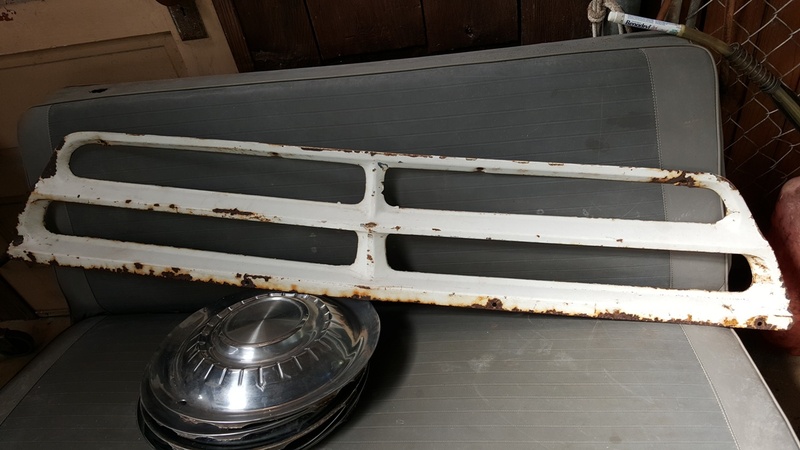 82 yr old original owner seeks buyer/restorer – does not want to part out or junk. 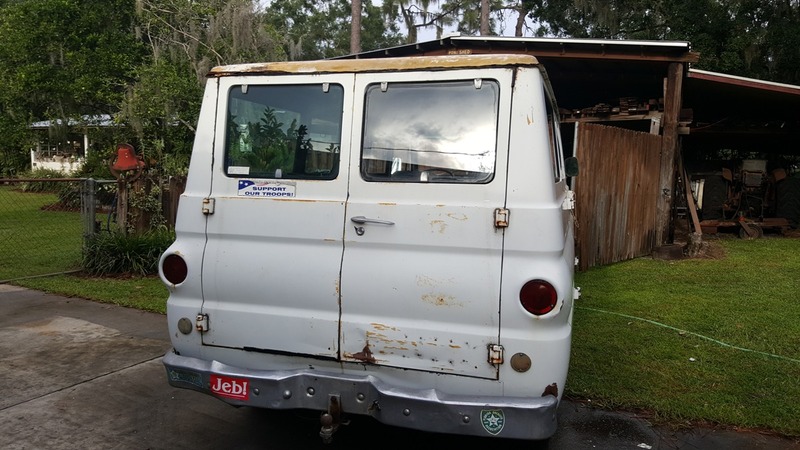 Engine ran good when last parked but needs tires, brake job. 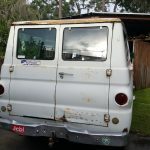 Discontinued insurance and tags about three years ago but owner no longer able to work on this classic.